Planning To Buy An Inverter For Your House? You Cannot Afford To Miss These Guidelines! Nowadays, power outages are so common in Chennai, and hence some alternative power sources have become truly necessary here. Inverters are the most widely preferred power alternatives in houses. If you are on a hunt for an inverter for a home in Chennai, this write-up would help you make the right choice. So, how to select an inverter which gives the best value for your money? Let us get into the details step by step! First and foremost, you must have a clear idea about the power requirement in your house. How many appliances do you want to work during power cuts? Take a list and find out the power consumed by each of the appliances. Add up the power of all the appliances to find out the total power required (in Watts). The capacity of the inverter you choose should always be greater than the total power requirement by a certain percent. The capacity of an inverter is expressed in Volt-Ampere (VA). The ratio between the power requirement in Watts and the VA capacity of an inverter is called power factor. The power factor considered for houses is usually 0.7. So, in order to find the capacity of the inverter which you need you have to divide the total power in watts which you obtained in the first step by the power factor, i.e., 0.7. So, an inverter with VA rating 600 or more would be fine for your house. The time for which back up can be provided depends greatly on the capacity of the battery. The battery capacity is measured in Ampere Hour (Ah). It can be calculated as shown below. It is always recommended to go for 5 to 10 percent additional capacity. Hence 145 Ah battery would be sufficient for your home. Different types of batteries are available. 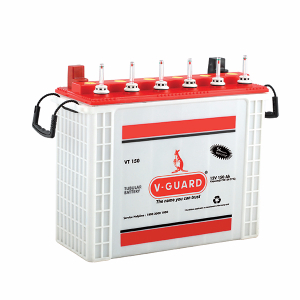 Lead acid batteries are the ones most commonly used in houses, and they come in two forms; flat plates and tubular plates. Flat plate ones are available in small-sized containers, and they are fine for those areas where power cuts are less. Tubular plate batteries are available in small as well as large-sized containers. They have comparatively longer life and can be used in all type of areas. The warranty period – Different brands provide different warranty periods. A longer warranty period indicates better quality and durability. So make sure to pay attention to the warranty before buying. Shock protectors – Batteries must have protectors to prevent the chances of electrical shocks. Check whether such protectors are present or not. Indicators and plugs – Indicators to let you know when battery water is to be filled and vent plugs to ensure controlled gas pressure inside the battery are both useful features which you should look for in a battery. Choose The Best Inverter With The Right Technical Help! 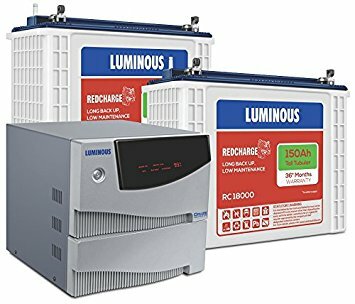 Doing calculations and analysis of the features as described above would help you to get an overall idea of the inverter you require. A technical person would be able to provide you with additional help required in fine-tuning your selection. So, do not hesitate to discuss your doubt or concerns with your dealers They would be able to give you good suggestions which can help you make a perfect choice!